Bill on the Sunny Side Up Show! Bill and Blue played the Newark Museum's 100th anniversary in March 2009. They were a big hit.--Must have been, they keep asking us back! A summer party at Bill's with some of Daisy's friends. Albino Burmese pythons are not recommended as pets since they need so many lawn chairs! Rescue has it's sad side. Shakespear recently died for unknown causes. While he lived he brought wonder to thousands of admirers. Blue is a majestic, male alligator of about 7 ft. He has been with Bill and Snakes-N-Scales for 17 happy years, creating awe and wonder wherever he goes. Tegu's are beautiful lizards and amazing to see. But their attitude can use some adjustment occassionally. Just the reason to leave it to the pros. 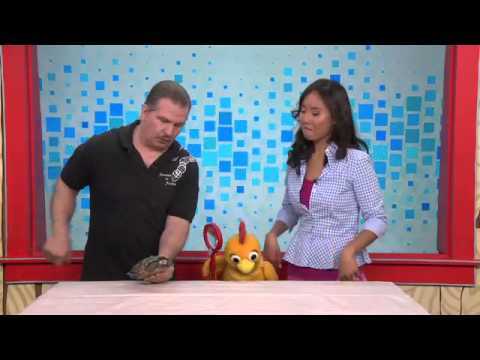 Our Magic show will put a spell on all who see it...and teach them some cool animal info too! Bill's experience is in a whole other class than most! That's an 80 pound Alligator Snapping Turtle, that Bill used to cart around like it was an 80 pound lunch box! This frog has actually bitten Bill 5 times. Proving that you can't tell a frog by it's cover. Blue doesn't bite. Does Bill?! Blue is one of the most peaceful animals at Snakes-N-Scales. Bill is actually peaceful too, usually. Snakes-N-Scales is THE animal entertainment-educational organization serving NJ, NY, NYC, CT and PA. Our dynamic instructors, with strange and exotic pythons, alligators, frogs, tortoises, tarantulas, geckos, boas, turtles, king snakes, monitors, clown fish, in tow, are experts at enthralling and informing all ages and interest levels with a combination of story telling, jokes, factoids, and anecdotes that will be the hit of your event. INVITE US IN YOU WON'T BE SSSSORRY! 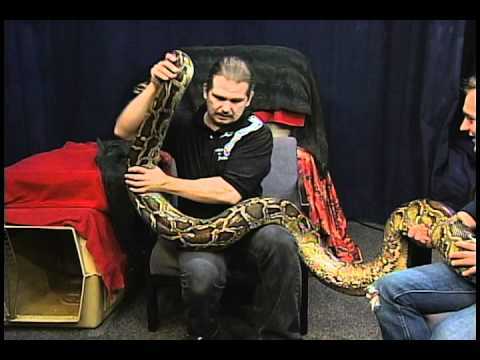 Snakes-N-Scales presents fun and safe Reptiles, Amphibians, Insects, Spiders, Fish and sea life entertainment/education programs for all ages, with emphasis on learning through enjoyment. The most entertaining yet educational animal program in NJ! Educational for schools and scouts, and entertaining for birthday parties and private events. The staff is top notch and the animals are mostly rescued, unwanted pets getting a second chance at life. Book Snakes n Scales for your event and you’ll be extremely satisfied with your experience. Snakes n Scales takes some of the most unloved and forgotten about creatures and makes you care! Bill and his team at Snakes n Scales are profesional, entertaining and worth every penny. To keep kids engaged and entertained for an hour is amazing enough, but the educational aspect makes it so very special. Even the adults were totally absorbed. I highly recomend Bill and his crew and am looking forward to seeing more of their amazing animal shows in the future. I had snakes-n-scales for my child's birthday party and, to sum it up, it was fantasic! Instructor Pete came with a wide variety of animals and the kids were speechless. The alligator, snapping turtle, and big tortoise were amazing, but the Albino Burmese python was the crowd favorite. Pete put it on my son's shoulders (restraining the head of course) and in his words was the "greatest day of his life." Glad you had so much fun! Thanks for taking the time to respond. 5 stars doesn't even begin to cover Bill and his staff! Snakes-N-Scales absolutely, hands down, does THE best animal education programs in the tri-state area. Whether it be a birthday party or school/library program, they can keep even the most antsy child mesmerized with their reptilian etc. pals! Their knowledge and enthusiasm for what they do is incomparable! Love, love, love this program! 5 stars doesn't even begin to cover Bill and his staff! Very much appreciated!! I am so glad we were able to work for you. Thanks for taking the time! Kind words!! Very generous. It's a labor of love so it comes easy to me. Thank you so much!! When your business has a family-get-together you need entertainment that will keep everyone from the CEO, to his 3yr old grand-niece, interested, amused and very happy. Our instructors,with strange and exotic snakes,alligator,frogs,spiders,turtles,lizards or sea animals in tow, are experts at enthralling and informing all ages and interest levels with a combination of story telling,jokes,factoids,and anecdotes that will be the hit of the party. This show brings a 5-7ft American Alligator, a 5ft Water Monitor Lizard and a 15-17ft, 80-100 lb Burmese Python, among others, to your event. These are the biggest reptiles in any show in NJ. Our instructors are experts at enthralling and informing all ages and interest levels with a combination of story telling, jokes, factoids, and anecdotes. Learn and be amazed with a combination of humor, awe and compassion for creatures to which most people rarely get this close. Instead of little bearded drgons and corn snakes, what everyone else can bring, we offer you a greater variety of substantial critters that include Monitor lizards, African tortoises or Snappers or Softshells; and the real stars of the program are the Anaconda, the Burmese Python and the Alligator. This is a more dynamic choice of animals than others can bring. Perfect if you’ve seen the other shows already, you want something different or maybe your child is just too advanced for the other show! Please read on for a brief! summary of a few of the choices we can offer. There is nothing like us, of that you can be sure! Join Us! NJ, NY, CT and PA In our Passion for the odd and unloved animals of the world. Here you will find Reptile programs with snakes, turtles and alligators, of course. But we also have aquatic animals, like clown fish, catfish, salamanders and crabs. 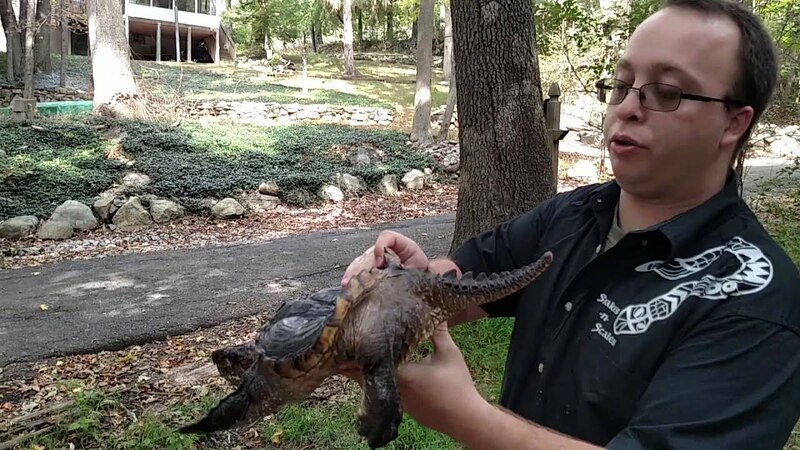 We do a unique Weird Animals and Magic Show or a Snake Experience presentation that allows an unrivaled hands-on access; or we can bring the big guys, our 100+ pound gator, 100+ pound python and we've hardly begun! Our shows are thematic so you can choose which show you prefer or have us back many times and not see the same show! We use jokes, stories, "animal's eyes" views of the world, anecdotes, factoids, question and answer and a gentle, controlled, touching experience to make children laugh, think and feel. They will laugh because it's fun, so they will remember it. They will think thanks to our engaging, experienced teachers. They will touch the animal so they will feel it's reality and hopefully someday, when they look back on this day, remember and understand that these creatures are our neighbors on Earth. STRANGE WORLD OF REPTILES-basics with small reptiles, lots of hands on, great for the younger set-this is the ONLY show that can be used for comparison with others, they have no others! THE GIANT REPTILES-big reptiles, 100+pounds alligator & python plus monitor lizard and snapping turtle--It's a real Wow! show! WEIRD ANIMALS- they are weird, mata mata, amphiuma, a beetle that plays dead- you've never heard of them ...that's how weird they are! THE GREAT REPTILES- A 7ft 100 lb Alligator, 14ft 100+ lb Burmese Python, a Monitor Lizard, Snapping Turtle --A great presentation that accommodates 300 kids at once! ENDANGERED SPECIES--Using paired sets of a live and non-live animal we look at the state on conservation now-from White Rhinos to Pandas, Monitors to Puffer fish! DINOS AND FOSSILS- Learn about the Dinosaurs using fossils and live animals, what is a paleontologist? How do we learn from fossils? Snakes-N-Scales and Turtle Tales founded 1996, by Bill Boesenberg. THE largest Animal Outreach Educational Organization in NJ. Snakes-N-Scales comprises a collection of over 300 reptiles, amphibians, invertebrates and sea creatures. Nearly all reptiles and amphibians are rescued from unfortunate situations. 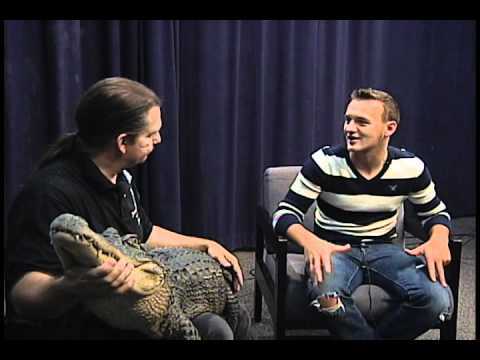 Regular guest on THE SUNNY SIDE UP SHOW, and "The Pet Stop" and has been featured on the TV shows, "Wild About Animals","Fox News Magazine." Regular presenter for Montclair School of Conservation, The Newark Museum, Tenafly Ntr Ctr, Great Swamp Outdoor Ed Ctr, Trailside Ntr Ctr, Bayville Library, Mahwah Library, Sparta Library, Jersey City Libraries, and hundreds and hundreds of schools. We perform 1400 SHOWS PER YEAR. Which shows our depth and durability. We have 4 Full Timers and 6 PEOPLE PER WEEKEND!, (Bill, Erin, Jack, Ken, Kerri and Amanda), So the time you want is more available and the people are professionals. Since we have MULTIPLE PEOPLE TO COVER illnesses or accidents, our cancellation rate is zero, barring severe weather. Bill has 30 YEARS EXPERIENCE working with reptiles, more than double any competitor. He is a recognized EXPERT IN THIS FIELD. And everyone here is trained by, and works for, him. He is available to speak to; HE ANSWERS THE PHONE when you call. About 90% of our ANIMALS ARE RESCUED. When you patronize us, you help them, and help us help more of them. We don’t send money to others to do good works, WE DO IT OURSELVES. Our instructors are MEN AND WOMEN, to provide equal opportunities to have good role models, for boys and girls. We’re SERIOUS, WITH A SENSE OF HUMOR. We understand that safety is most important, but after that, this should be fun! DISCOUNTS ARE AVAILABLE for Schools, Libraries, Scouts, Veterans, Police, Firemen and Teachers!--Just ask! BRUCE SPRINGSTEEN USED US TWO YEARS IN A ROW!!! What else can be said!? We have also performed for stars such as Rosie O'Donnell, and James Gandolphini. AND UNLIKE OUR COMPETITORS -We don’t make our living by selling animals, our philosophy isn’t a card game, we’re not a discount toy store, nor are we clowns, in costume, with snakes round our necks, and this isn’t a retirement or second job. WE ARE COMPLETELY PROFESSIONAL PROGRAM PERFORMERS AND ZOO KEEPERS, ALL DAY, ALL WEEK, ALL YEAR. Bill, the Presssident, is a 30-year experienced, recognized expert in the field of reptile care (herpetology), who decided to make his life’s goal the education of people about these misunderstood creatures. His credentials are unmatched in NJ. Bill's expertise and good natured humor appeal to all who surround him. His programs are informative, educational and fun. When you hire a member of Snakes-N-Scales you receive the benefits of Bill’s expertise since all employees are specially trained and qualified. Many are certified teachers; all have a wide experience with children and an excellent command of animal handling and showmanship. Everyone at Snakes-N-Scales is dedicated to making our visit a fantastic experience, full of insight, knowledge, discovery and wonder. Whichever program you choose will be an adventurous exploration into the animal world providing experiences that will last a lifetime. Bill’s experience is impressive: he has repaired countless turtle shells that were struck by cars, hatched endangered turtle eggs, mended broken legged frogs, nursed 100 lb pythons, pulled lost alligators out of people’s pools, treated sick vipers and rattlers, performed surgery on injured and dead mother snakes and turtles to rescue the eggs for hatch and release, answered dozens of calls from local police for snake identification and capture, caught loose monitor lizards on the turnpike, rescued injured venomous snakes, and he has opened his home to become a haven for hundreds of orphaned reptiles. His studies of reptiles have taken him to places such as California, Florida and West Virginia. He studied crocodiles in Venezuela, South America. And of course he continues his work in New Jersey where he resides. He also studied bottle-nosed dolphins in Florida. He assisted in emergency surgeries of birds of prey, raised native NJ mammals such as opossum and woodchuck, rehabilitated adult and baby bats, cared for tamarins,(monkeys), meerkats, (mongoose), fenec fox, and tenrec, raised parrots, tarantulas and scorpions!! Bill is a self taught Herpetologist. Studied in Florida, California, W. Virginia, Venezuela and New Jersey. Known as the NJ Crocodile Hunter! First New Jersey State Reptile Rehabilitator. Herpetological consultant for Bergen County Zoo, Turtleback Zoo, Trailside Nature and Science Center, Popcorn Park Zoo, Great Swamp Outdoor Education Center, Tenafly Nature Center, Weiss Ecology Center, Flat Rock Brook Nature Center, Schiff Nature Preserve, Camden Discovery Aquarium, Jenkinson's Aquarium and the NJ Division of Fish and Wildlife. Volunteer consultant for Poison Control Hotline,in the management of snake bites. All shows require 1 table of 6 ft in length. Many shows require 2 tables and a chair. We provide mics, table cloths and floor protectors. THE GREAT REPTILES-big reptiles, 100+pounds alligator & python plus monitor lizard and snapping turtle--It's a real Wow! show! RIVER OF MONSTERS-aquatic animals you rarely keep as pets! We respect the love and devotion of Steve Irwin, The Crocodile Hunter; Stan Brock, of Mutual Of Omaha's Wild Kingdom; Len Soucy, The Raptor Trust; Gunther Gabel Williams of Ringling Bros. Barnum-Bailey Circus; Eugenie Clark shark researcher; Jaques Cousteau, marine biologist; Joan Beauchamp Procter, zoologist; Charles Darwin, evolutionary biologist; Jane Goodall, chimpanzee researcher; William Beebee, zoologist, Frank Buck, animal handler; Bill Haas, venomous snake expert; Robert Bakker, paleontologist.